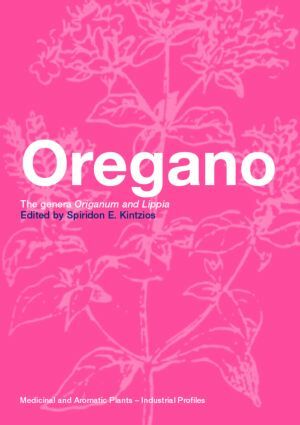 Oregano: The Genera Origanum and Lippia is an updated analysis of the technical knowledge and market information on the world's most commercially valuable spice. The book treats various aspects of practical significance for the crop's industrialization, such as optimizing germplasm selection and utilization, novel cultivation methods and product processing, blending and uses in different countries, along with other issues not included in previous reviews. Written by leading experts, every aspect of this plant genera is examined in detail. Information is provided on the structural dynamics of Origanum as well as analytical information on extraction, isolation and characterization. This helps the reader form a clear picture of the construction and operation of this specific genus. Extensively referenced, with a special guide to electronic data retrieval strategies, this volume is the definitive source of information for anyone interested in the research and application of Oregano across both academia and industry. "This book scores high, with in-depth, scholarly writing, is well referenced, contains supportive illustrations and maps, a thorough 9-page index, and could be helpful to growers, food scientists, chemists, and health care professionals. It is an exemplary edited work…a commendable monograph about an important herb and remedy"
Introduction. Structural Features of Origanum sp. The Taxonomy and Chemistry of the Genus Lippia Origanum. The Turkish Origanum Species. The Chemistry of the Genus Lippia (Verbenaceae). Cultivation of Oregano. Breeding of Oregano. The Biological / Pharmacological Activity of the Origanum Genus. Processing, Effects and Use of Oregano and Marjoram in Foodstuffs and in Food Preparation. The Biotechnology of Oregano (Origanum and Lippia). Bibliometric Analysis of Agricultural and Biomedical Bibliographic Databases with Regard to Medicinal Plants Genera Origanum and Lippia in the period 1981-1998.